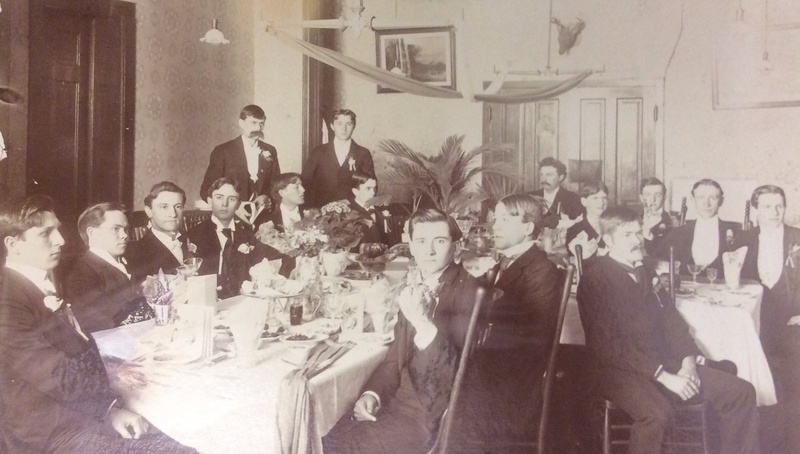 Alpha Tau Omega (ATO) National was founded in 1865 and annually ranks among the top ten national fraternities for number of chapters and total number of members. ATO has more than 250 active and inactive chapters with more than 200,000 members and more than 6,500 undergraduate members. This makes it one of the oldest, biggest and most prestigious national fraternities. The Gamma Zeta Chapter of ATO was founded at the University of Illinois in 1895 and with over 120 members on campus and over 2,000 alumni we are one of the largest, oldest and most prestigious fraternities at Illinois as well. 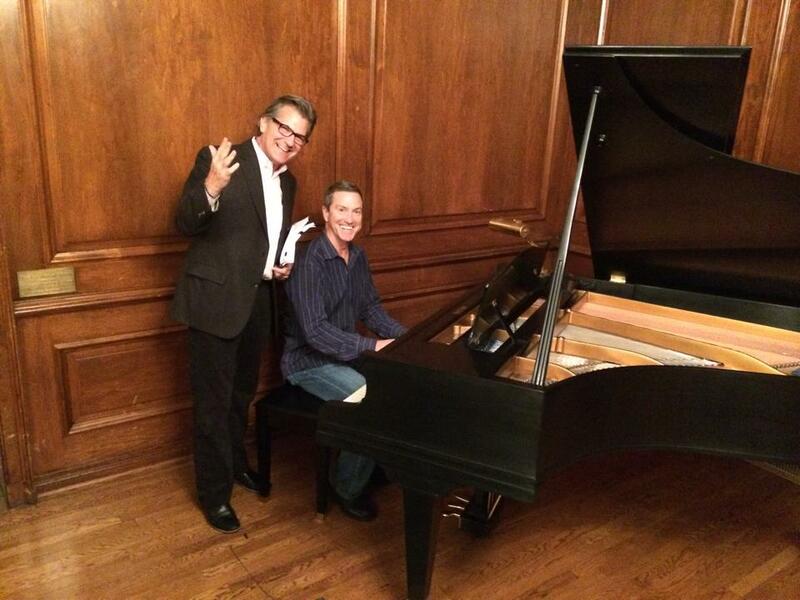 However, when you think of joining a fraternity, the first thing to come to mind is often social… parties… fun!! And, the ATO’s can party with the best of them. We have an active and creative social schedule and we have a lot of fun. But, that’s not why you should join ATO. You can get the social aspect of fraternity life at a lot of different places. We offer something very different. As you consider whether to join a fraternity and if so, which one, here are some questions that we think you should seriously consider? Leadership – Is this organization going to give me opportunities to practice and improve my leadership skills? Alpha Tau Omega is known as “America’s Leadership Fraternity”. The LeaderShape Institute, Inc. was created in 1986 by Alpha Tau Omega, and is considered one of the country’s premier leadership development training programs available to college students and young professionals. Each summer the Illinois Gamma Zeta Chapter of ATO sends a team of officers to the ATO National “Leadershape Institute” for a week long leadership development program. This trip is funded with a scholarship endowed by ATO Gamma Zeta alumni. We recruit leaders. We teach leadership development and we deliberately promote and encourage leadership opportunities within the fraternity and across the University of Illinois Campus. Over our 120 years at the University of Illinois ATO has left a mark of leadership on the Illinois campus unmatched by any other fraternity. Read this article that describes sixteen familiar campus landmarks which are either named after or have realized significant influence of ATOs including Memorial Stadium, the Union and the State Farm Center. Undergrad Jon Osacky speaking to an audience for ACM Open House at U of I. Current undergraduates are members and/or hold leadership positions in the Orange Krush, the Finance Academy, the Investment Banking Academy, ACM, UIUC Federal Bureau of Investigation Student’s Academy, Arms Control, Disarmament, and International Security Student Group, Phi Eta Sigma Honor Society and many other important organizations on Campus. 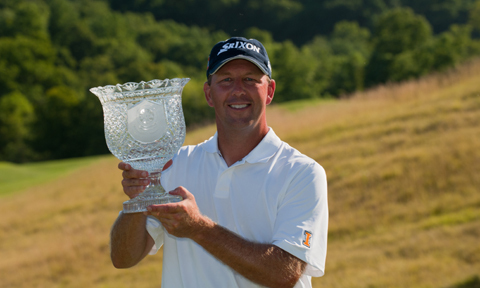 Alumnus Mike Small ’88 is the current (NCAA #1 Ranked) Illini Golf Coach. Brett Smith ’87 is the Pastor-Director, University Baptist Church and Baptist Housing Ministry. Tom Siegel ’84 is Managing Director of Illinois Ventures. 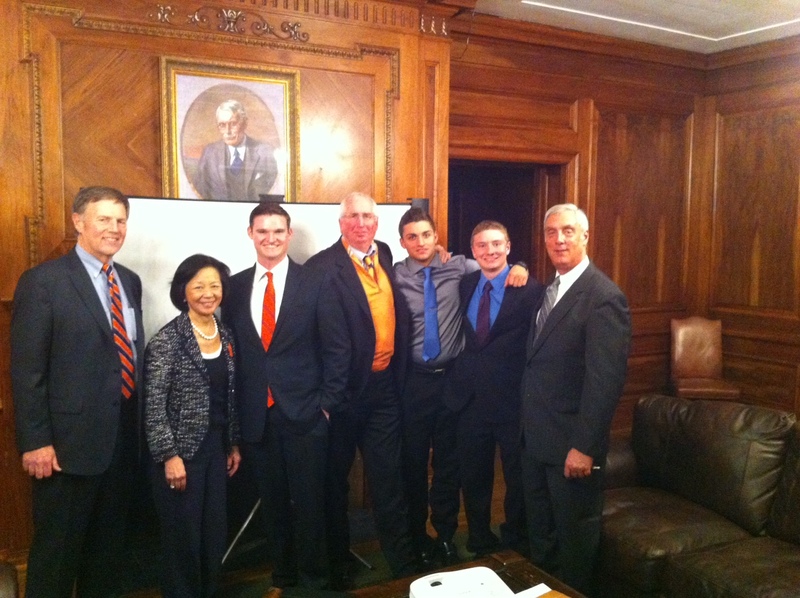 Here’s a list of other active or retired ATOs who have served in leadership roles with the University of Illinois. 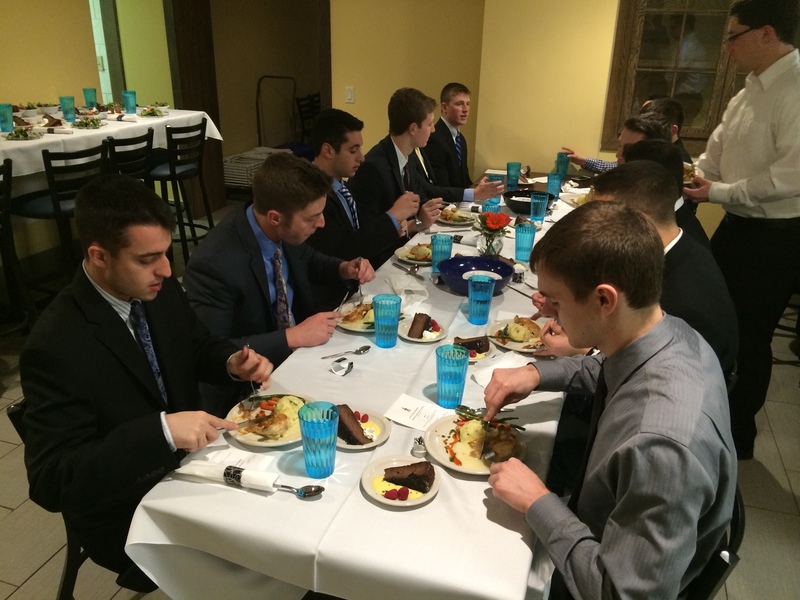 Gamma Zeta ATOs have also served in significant leadership roles within the Alpha Tau Omega Fraternity. Five Gamma Zetas have served as either Executive Director or National Worthy Grand Chief (President). Academics – Is this organization going to help or hinder my academic performance? The House average of 3.197 would rank ATO #7 this Fall among all fraternities and well above IFC and Fraternity Mens’ averages based upon school data supplied by Ashley Dye and the Board of Fraternity Affairs. Tutors are funded and made available to any ATOs on campus who need extra help. 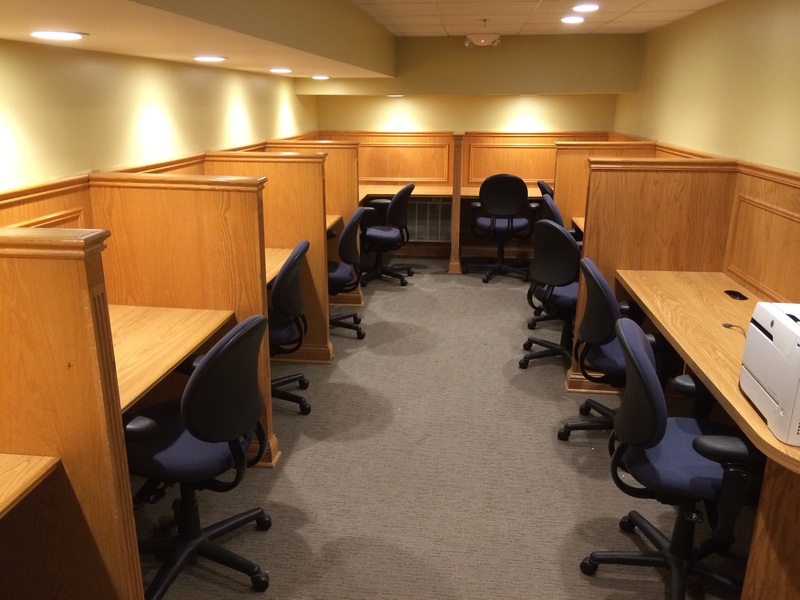 A quiet, air conditioned study room was recently completely renovated with alumni donations in the chapter house. The chapter boasts a scholarship endowment of over $500,000, 2nd largest of any ATO Chapter across the country which awards over $20,000 in scholarships to deserving ATO undergraduates each fall in a ceremony at Homecoming. Alumni Network – Does this organization provide an alumni network to support and mentor me while I’m in school, help me obtain internships, guide me toward my first job and help me stay connected throughout my career? 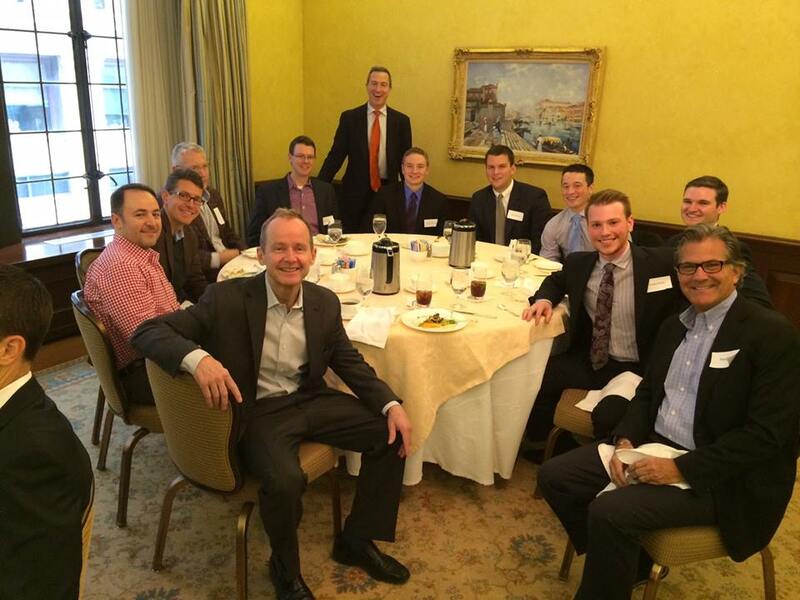 The ATO Gamma Zeta Chapter has the most active alumni group of any fraternity at the University of Illinois, maybe the country. The Gamma Zeta Alumni Association has an active website, monthly eNewsletter, bi-annual printed newsletter, Facebook page, Twitter feed and one of the largest and most active Linkedin Fraternity groups around. Alumni gather at least bi-monthly for networking luncheons, Cubs rooftop events, fundraisers, holiday parties, a summer golf outing and many other activities. Check out this list of prominent alumni to see the sort of organization and network that you would be joining including leaders in business, law, medicine, consulting, real estate, public service, academics, entertainment, sports and more. 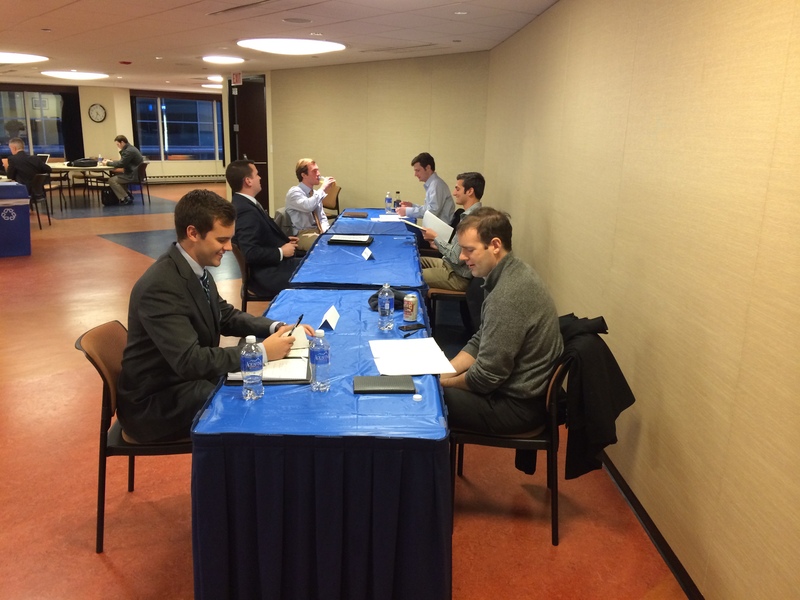 Alumni support current undergrads with a mentoring program where alumni mentors are matched with undergraduate members based upon career interest, a fall resume clinic and a winter mock interview session. Alumni also provide internship opportunities and support for full time finding full time jobs. 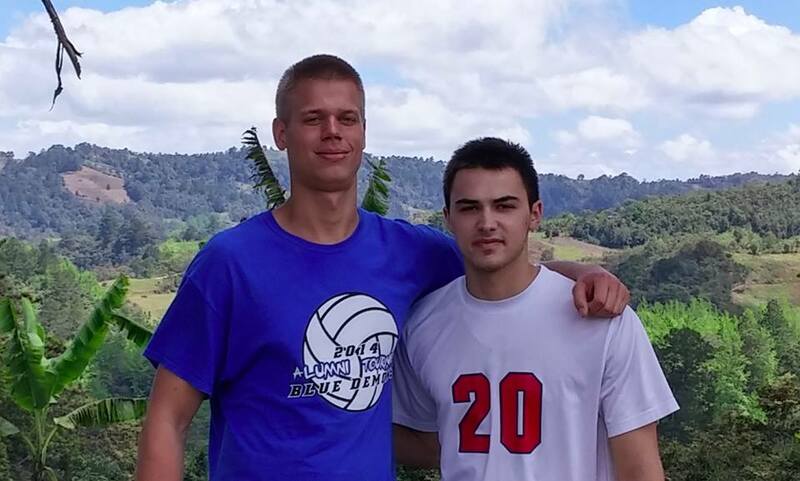 This spring, Alumni created scholarships to send two ATO undergraduate members on a medical mission trip to Honduras being led by ATO Alumni Dr. Seth Berl ’78 and Dr. Tom Sullivan ’78. You aren’t going to find a more supportive alumni network or one that more closely delivers on the promise of fraternity for life than the ATOs. 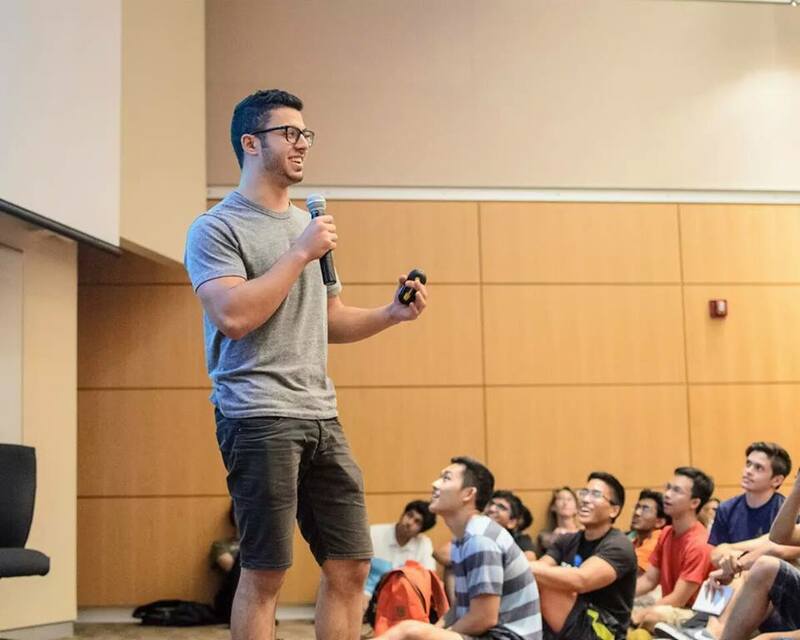 Excellence – Is this organization going to help me take full advantage of all of the opportunities to learn and grow while I’m at the University of Illinois? Gamma Zeta ATO’s have a long and proud culture of excellence in everything that we do. ATO’s have traditionally shared a strong interest in sports. 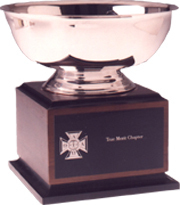 We’ve won the Fraternity All Points Trophy for intramurals six times and finished in the top five twenty-eight years. 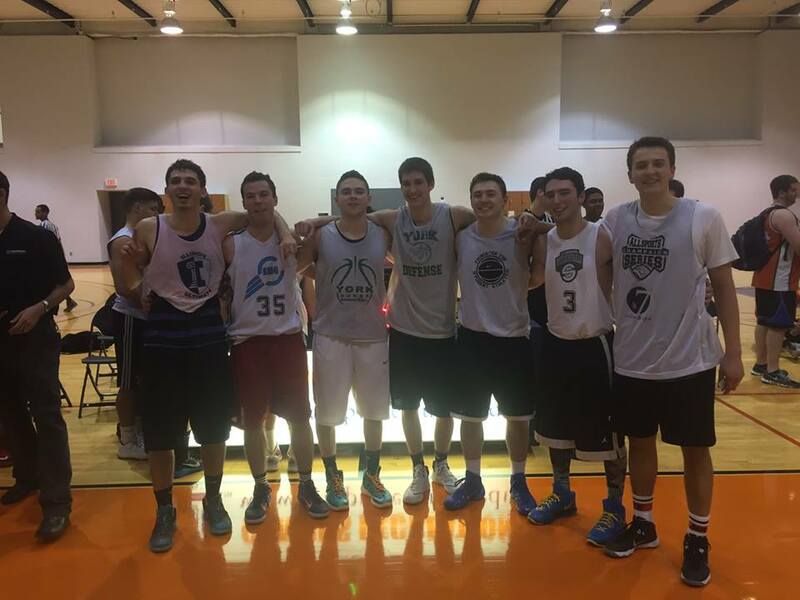 Just this past spring, we won the Intramural Basketball championship again. 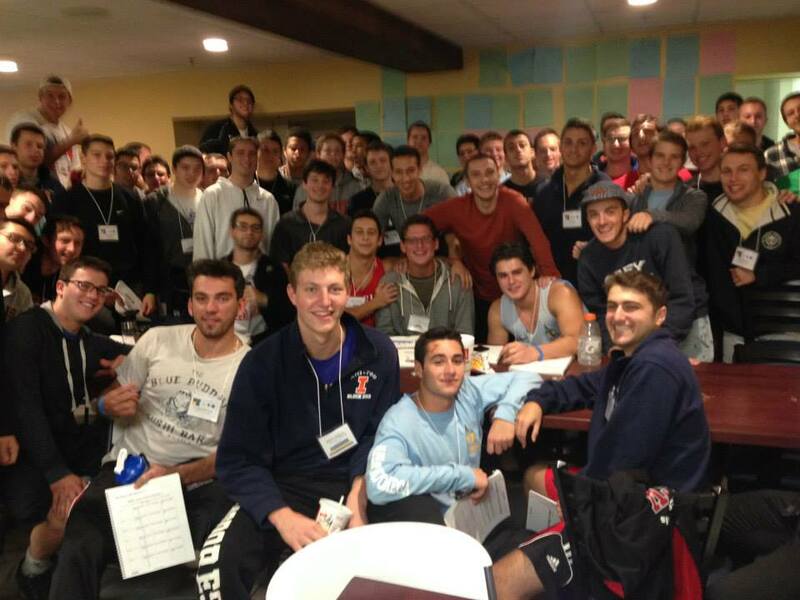 Hundreds of ATOs have earned Varsity I’s and over twenty have been captains of Illinois Varsity teams. 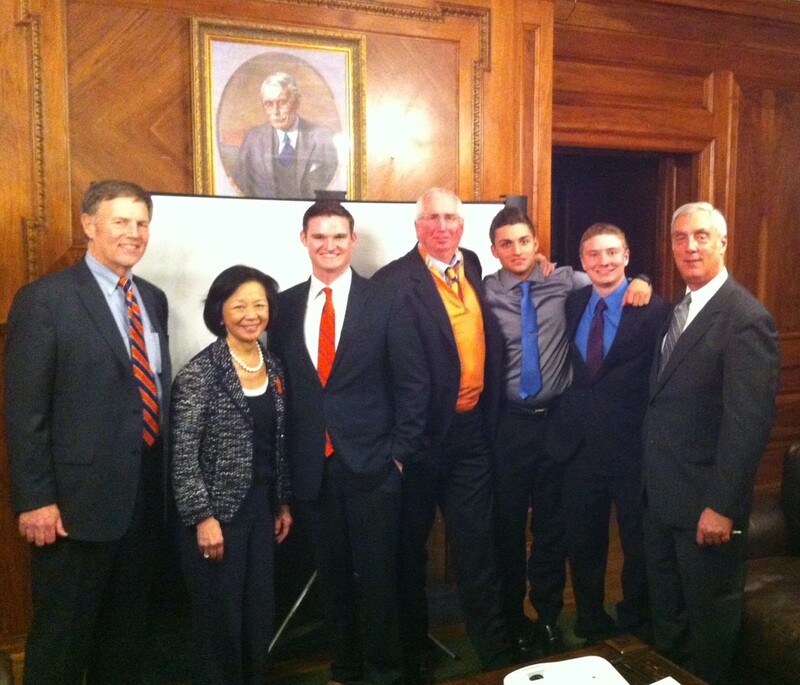 The Most Courageous Illini Football Player is honored each year with the Bruce Capel ’65 Award. 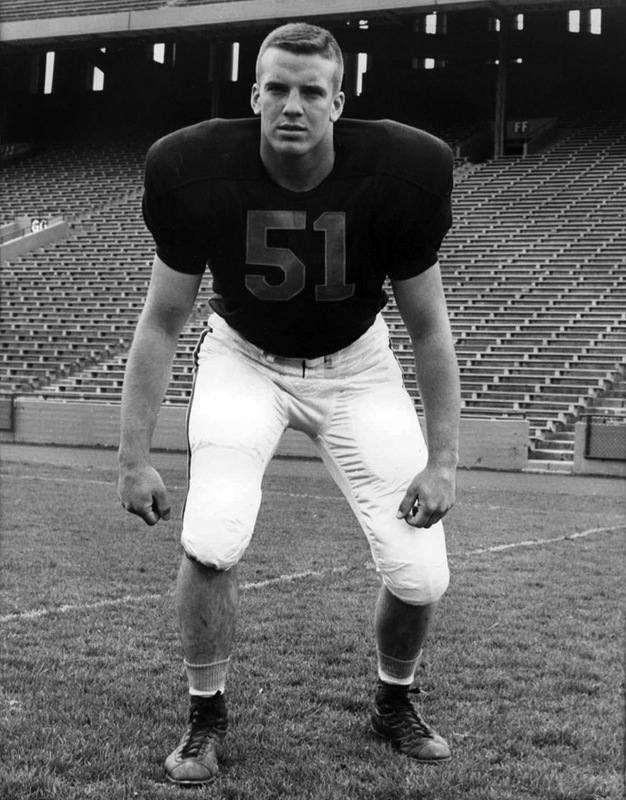 Bruce was a Gamma Zeta ATO and Illini Varsity Football player who was killed in action in Viet Nam. The “Matto” Award is presented to the Illini Basketball Player who exhibits the most “hustle” and is named after Gamma Zeta ATO and former Illini Varsity Basketball Player Matt Heldman ’88. 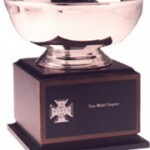 The Gamma Zeta Chapter of ATO has also exhibited excellence over the years within the national fraternity. Twenty-one times we’ve been recognized as a “True Merit” Chapter and have won numerous other awards for excellence in financial management, recruitment, scholarship, communications and alumni leadership. 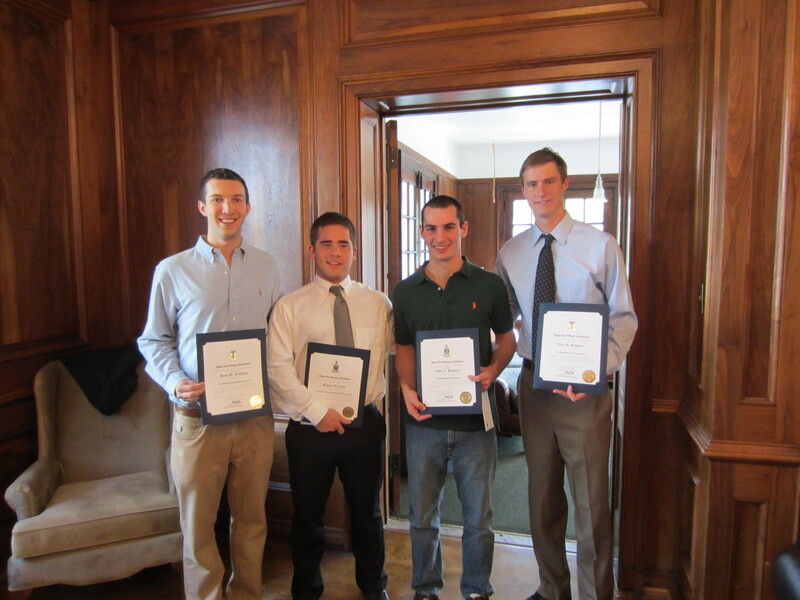 Four Gamma Zeta undergrads have been chosen as the Thomas Arkle Clark Award winner as the top ATO undergraduate in the country. While it seems that all ATO’s share an interest in sports and excellence, our membership is very diverse in just about every other area. We have members from all over Illinois and often other parts of the country. Our members major in business, accounting, finance, advertising, pre-law, pre-med, engineering, computer science, architecture, english, history and more. And, our members are involved in RSO’s across the board. It makes for an interesting and dynamic environment. No matter what your interest or passion, you’re likely to find ATO’s who can help you get involved and continue to learn and grow or introduce you to new, interesting and exciting activities. Housing – Does this organization offer a truly unique, historic and motivating living environment, a great place to meet and excellent food service? 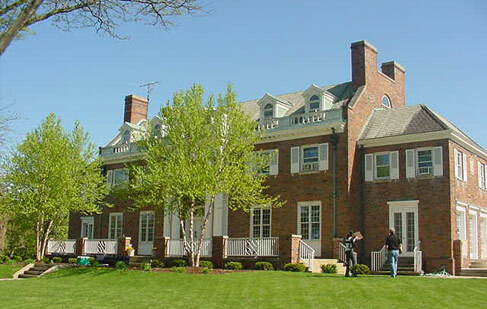 The ATO Chapter House, named after Thomas Arkle Clark, ATO Gamma Zeta’s initiate #1 and the university and nation’s first Dean of Men was built in 1931. It was at the time and remains to this day one of the most classic, functional and beautiful fraternity houses in the country. It comfortably houses 80 live in members and many more for meals, meetings and other activities. The dining room, chapter room and study room were all completely refurbished in 2014 with air conditioning and new furniture. The west living room is home for the chapter’s historic 113 year old Bechstein Grand Piano which has been owned by the chapter since 1916. It was also completely restored in 2014 – current value over $80,000! The chapter’s meals are provided out of it’s fully functional kitchen by Upper Crust, the finest fraternity food service on campus. You simply will not find a better, healthier and more reasonably priced family style food service option at Illinois. If you would be interested in learning more about ATO and participating in one of our rush activities, please complete this form and we’ll contact you.